A motorcycle accident isn’t something you’d wish on even an enemy. Due to the fact that motorcycles are less protected like their car counterparts, the riders can be seriously injured in an accident. If you or someone close to you has been involved in a motorcycle accident, you should have a motorcycle accident attorney come in to proffer solutions on how to get compensation for your injuries. We at Rawa Law group take pride in helping claimants in Garden Grove, CA seek settlement for their injuries. We have some of the best personal injury lawyers and our team of legal experts is both friendly and personable in a professional manner. Our clients are held in high regards and treated to Rawa Law Group’s 5-star service. With 10 years of active legal practice and over 50 years of collective experience, you can be sure Rawa Law Group has the intellectual capacity to help you with your settlement claims. We have continually helped Garden Grove claimants recover hundreds of millions in settlements and we are sure ready to help you get yours. Our major goal is to see that this dark phase of your life ends with a shiny star and lots of gratitude for getting closure in the form of compensation. 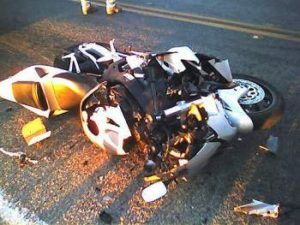 If you are in need of a motorcycle accident attorney in Garden Grove, CA who understands what it takes to help accident victims maximize their accident claim settlement, then look no further than Rawa Law Group. Our attorneys know the tact and are well experienced in handling such cases. With our free, no-obligation case evaluation, you get some top-notch legal advice from a highly revered motorcycle accident attorney. Let us help you with no upfront fees for you today.